Alexander Girard was a textile designer and architect who once worked for Herman Miller alongside George Nelson and Charles Eames. His bold use of color and geometric patterns has roots in traditional folk art, of which he was an avid collector - donating over 100,000 pieces of his personal collection to the Sante Fe Museum of International Folk Art. 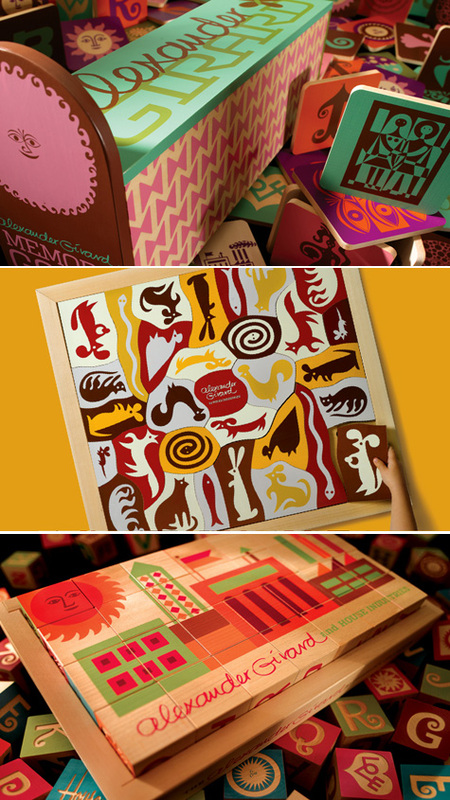 The images above are of Girard's Memory Game, Puzzle and Blocks, available from House Industries.